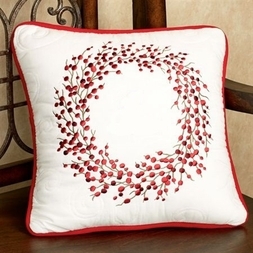 Intricate embroidery displays a red & green berry wreath on a quilted off-white background. Machine stitching swirls throughout the background for an extra touch, and framed with a red border. Reverses to a solid red.